Are we an AHA approved site? Yes, we are an accredited American Heart Association (AHA) training site. Palm Desert Resuscitation Education LLC (PDRE) also follows the AHA’s new “Training Site Information Project” that became effective as of Jan 31st. Owns and maintains all PDRE equipment needed for teaching AHA courses, including top-of-the line and most up-to-date manikins that meet feedback device requirements. Maintains knowledge of and effectively uses AHA training network applications, such as the AHA Instructor Network, eCards, eLearning, eBooks, etc. What should I do with my old course completion card? If you are a provider attending a renewal course, you need your old course completion card to receive discounted rates. PDRE only accepts AHA course completion cards to be considered as a renewing provider. PDRE can evaluate your course completion cards and discard them at our office if they are ineligible. 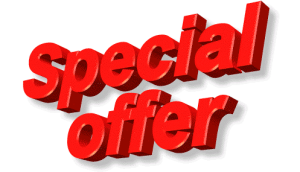 You need your old course completion card to receive discounted rates. Do you have American Heart Association (AHA) eCards? PDRE is fortunate to be the first in the nation to give healthcare providers with AHA eCards to be accepted at their hospital, clinic, or other healthcare institutions. Please call us if your employment does accept AHA eCards and we can contact them about the most current available acceptable AHA course completion cards. Will I get my AHA course completion card once the classroom-based or online course is successfully completed? Yes, the majority of the times, we can give you the course completion card after the course has ended including successful completion of the written and psychomotor skills testing. In some instances, your card will be mailed to you usually within 3-5 days of taking the course but may take up to 2 weeks. If your employer needs the course completion card right away, then we take this into account and you may either pick up your course completion card at our office or you may be eligible to receive a next day delivery of your course completion card if applicable and circumstances permits it. Click on the link: Click here to claim your eCard. You will be directed to AHA’s website. Verify your name and select a security question and answer from the drop down menu. Next you may take a survey or scroll to the bottom and skip. Lastly, you can click on view eCard: Full/Wallet to download or print your eCard certificate. *Note: AHA’s Policy is to have each esteemed PDRE student create and claim their own eCard and/or certificate of completion. It gives our students the opportunity to complete the course evaluation and also be able to go back to their account to view, print or copy their eCards again if needed. *If you do not claim their eCard and/or certificate of completion online, the eCard and certificate of completion is not considered valid. Without validation, your employer, program director, or administrator will not have a record of the course completion, which could ultimately impact the your ability to work or continue your designated program. Please remember, our valued PDRE students can alternatively go to www.heart.org/cpr/mycards, and enter their First Name, Last Name, and Email Address to claim their eCard and/or certificate of completion. What is your Cancellation Policy or “No Show” policy? Please look at our Cancellation Policy or “No Show” Policy links located in the bottom of our webpages. Can we get discounts on group classes? 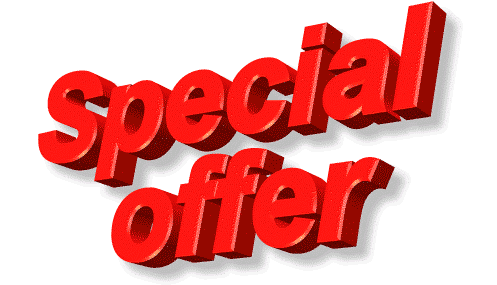 Yes, we do give discounts to groups of 6 or more students for our classroom-based, online, or out-of-site courses. Terms and conditions can be discussed if you call our office. Do you provide help to those who have English as their second language? Do you have Spanish instructors? Is there a restriction on who can take the AHA courses? All students are required to agree to our terms and conditions, including our waiver of liability and disclaimer policies, before the AHA courses can be attended. Can you go to our private homes or businesses to provide pre-scheduled off-site courses? Where can I find resources about Sharp Disposal guidelines near me? At Palm Desert Resuscitation Education LLC (PDRE), we always strive to teach “universal precautions” to prevent any contamination and spread of infectious diseases in-hospital and out-of-hospital. One way to decrease or minimize contamination and spread of germs and other harmful diseases and medical conditions is to properly dispose of sharp medical devices, including items hypodermic needles, syringes, lancets, and pen needles. Whether these sharp medical devices are contaminated with bio-hazardous waste or not, sharps must be properly disposed of in special containers that prevent re-contamination and/or need stick punctures and handled as hazardous waste. There is a public health risk for communities where sharp disposal is not a priority, which improperly discarded needles leads to community health vulnerabilities and the spread of infectious diseases. Pharmacy Program: There are locations where local residents can get free Sharp Disposal by Mail container (quantity of 3/year for every resident or household with a proof of residency in the form of a driver’s license or California ID), which can be utilized as a vessel for used sharps. Once the Sharp Disposal is completely full and sealed, it can be mailed for safe disposal. Curbside Program: The Curbside Program allows residents of single-family homes (apartment and multifamily residents are considered not eligible) may be able to pick up free sharps disposal containers from Burrtec’s Recycle Center located at 41800 Corporate Way (behind the Hovley Post Office in Palm Desert). Once the container is full, residents can call Burrtec’s Recycle Center at (760) 340-2113 to schedule a curbside pickup, and upon request, Burrtec’s Recycle Center will leave a complimentary free empty collection container. Residents can coordinate up to four free pickups per year. Note: Residents can also place sharps safely and securely into hard thick plastic containers (such as used, but cleaned orange juice, detergent, or vegetable oil bottles – not thinner plastic such as milk jugs) and call for Burrtec’s Recycle Center to schedule a curbside pickup. Does Palm Desert Resuscitation Education LLC (PDRE) offer Continuing Nursing Education (CNE), Continuing Education (CE), and Continuing Medical Education (CME)’s for our S.T.A.B.L.E. Program Learner Courses? We are delighted to declare that we have partnered with gRN NICU Consulting to be our Nursing Continuing Education (CNE) Provider for our S.T.A.B.L.E. Program Learner Courses! This is an exceptionally time and cost effective way to offer Continuing Nursing Education (CNE) credits to our valued Palm Desert Resuscitation Education LLC (PDRE) students. Does Palm Desert Resuscitation Education LLC (PDRE) offer Continuing Nursing Education (CNE), Continuing Education (CE), and Continuing Medical Education (CME)’s for our S.T.A.B.L.E. Learner Courses? Yes, we offer optional, low cost and low stress CNE/CE/CME’s for our PDRE students since many have requested this for their Learner Courses. What are the requirements for PDRE students to earn Continuing Nursing Education (CNE), Continuing Education (CE), and Continuing Medical Education (CME) Credits for their Learner Course? Pre-testing is not mandatory, but is strongly recommended. The instructor must follow the approved agenda for the course. The student must utilize the 6th edition (©2013) manual during the course. The student must attend the entire course and complete all modules. The student must complete all 32-quiz questions and must pass the Mixed Module post-test (8 questions) with a score of 75% or better. One re-test is allowed if the first score was greater than 50%. Scores of less than 50% require that the course is repeated and no CNE/CE/CME credits will be awarded for that course date. The student must complete an online course evaluation within 90 days after the course. How do I request CNE/CE/CME approval for my S.T.A.B.L.E. Program Learner Course? After you have completed your Learner Course from PDRE, you will receive an email directly from the S.T.A.B.L.E. Program and PDRE Administrators with your certificate of completion and eCard with the addition of outlining the process of claiming your CNE/CE/CME approval in more detail. gRN NICU Consulting will review your designated course listing, assign it a unique ID, and set the course up on the online portal for our valued PDRE students to complete an online evaluation and print a certificate for your Learner Course CNE/CE/CME. The California Board of Registered Nursing (CA BRN)’s CNE/CE/CME Approval Statement requires that your CNE/CE/CME will be provided after the course listing and instructors have reviewed the necessary requirements. In the early stages, your CNE/CE/CME will have “pending approval for Nursing Contact Hours by gRN NICU Consulting, Inc” for the educational activity you have received from PDRE. You will then shortly receive the unique ID and instructions on how to claim your CNE/CE/CME for your Learner Course (Click here for a sample). How many CNE/CE/CME’s can the PDRE students earn for completing the course? How much does the PDRE student have to pay to get the CNE/CE/CME Certificate? The cost is $30 to the student. PDRE students wanting CNE/CE/CME credits for their Learner Course will be responsible for paying the non-refundable $20 gRN NICU Consulting fee plus the non-refundable $10 PDRE administrative fee (for a total of $30) to receive CNE/CE/CME credits for completing your course. Remember, receiving CNE/CE/CME’s for the course is optional. You will still earn their learner card even if you do not opt to receive CNE/CE/CME credit. Payment can be made online with PayPal, credit card, or check. How long after the course can PDRE students obtain CNE/CE/CME credit for their Learner Course? Although we encourage our PDRE students to complete their evaluation within 30‐90 days, we will leave the instructor course evaluation link up, follow Step #3 and request CNE/CE/CME approval for my S.T.A.B.L.E. Program Learner Course. Can I get information about CME & CEU credit for PDRE Courses? Does PDRE provide CME & CEU credits for Healthcare Providers? Yes, PDRE provides continuing medical education (CME) and continuing educational units (CEU) credits for only certain courses based on the students certificate or licensing board requirements. Continuing Education (CE) can be differentiated with CME being specific to medicine and continuing nursing education being specific to nursing. However, CE educational time can be measured in CEUs or in contact hours. How much CME or CEU credits do I get? For CMEs, the credits are based on the various licensing boards’ guidelines. CEUs vary based on designated credentialing boards. Physicians: For physicians, most have to go attain their CMEs through an approved CME organization such as the Accreditation Council for Continuing Medical Education (ACCME) or take one of PDRE’s approved HeartCode ACLS, PALS, & BLS Online and Psychomotor Skills Evaluation Courses through American Heart Association (AHA); Neonatal Resuscitation Program (NRP) through the American Academy of Pediatrics (AAP); S.T.A.B.L.E Program through a third party CME/CEU/CNE approved organization; and other online courses such as Non-Valvular Atrial Fibrillation courses and other healthcare courses. The AACCME describes CME as “Continuing medical education consists of education activities which serve to maintain, develop, or increase the knowledge, skills, and professional performance and relationships that a physician uses to provide services for patients, the public, or the profession. The content of CME is that body of knowledge and skills generally recognized and accepted by the profession as within the basic medical sciences, the discipline of clinical medicine, and the provision of health care to the public. For Other Healthcare Professionals: For more clarification CME credit is not the same as CEU credit. Non-physician healthcare professionals who complete an accredited activity receive an HP certificate (Healthcare Provider Certificate) or an attendance certificate. This non-physician healthcare professional may then submit that certificate to their own credentialing board (nursing, pharmacy, social work, etc.) to gain transferrable CEU credits from that particular and designated board. As an example, PDRE’s ACLS, PALS, & NRP certification courses may be approved for 8 CMEs or CEUs and recertification courses are approved for 4 CMEs or CEUs more or less, dependent on the students’ designated credentialing boards. How many CE contact hours does ONE (1) CEU credits count? About TEN (10) CONTACT HOURS of participation in organized continuing educational and training classes equals ONE (1) CEU credit. How long is a CONTACT HOUR as far as CE time? ONE (1) CONTACT HOUR is equivalent to 60-MINUTES of education and training between the instructor and the student. How many CME credits do licensed physicians in California need to meet their requirements? Licensed physicians in California need 150 hours of approved CME credits, of which 60 hours are approved for American Medical Association (AMA)’s Physician Recognition Award (PRA) Category 1 Credit(s). How many CE/CNE hours are required for Registered Nurses (RNs) in California? Based on the California Code of Regulations, Section 1451, Article 5 an RN needs at least 30 contact hours of continuing education every two years in combination with paying for their renewal fee for their license. Where can I find more information about CME or CEU credit information? Does PDRE offer specific CE courses for Emergency Medical Services (EMS) such as Emergency Medical Technicians (EMTs) and Paramedics (EMT-Ps)? Yes, PDRE does offer specific courses through our partnership with the AHA, for instance, for EMS students to receive CE credits. PDRE staff will be logging in to the Instructor Network ahainstructornetwork.orgat “EMS Student CE” to invite the EMS providers who have completed AHA approved courses at PDRE to complete their licensure information for continuing education. PDRE staff will then have student rosters submitted on the Network within 30 days of course completion and the credits must be claimed by students within six (6) months of attendance. It will be as easy as clicking the “Send Email to EMS Students” button to complete information for sending invites to our valued PDRE EMS students. Are there any extra fees for CME or CEU credits for any PDRE Courses? It depends on what kind of CME course a student takes that dictates extra fees. However, for CEU credits at least, we do charge an administration fee of only $10 for specific classroom-based courses. Online courses may already include assigned credits for CMEs or CEUs. 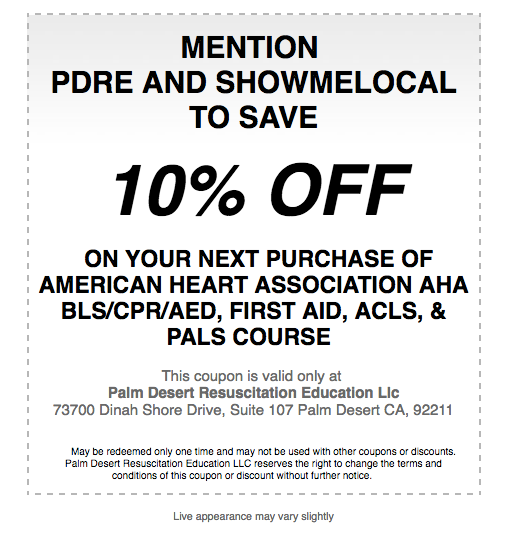 Need To Claim Your Palm Desert Resuscitation Education LLC (PDRE LLC) American Heart Association (AHA) and American Academy of Pediatrics (AAP) Continuing Education Credits? The PDRE LLC AHA offers continuing medical education (CME) or continuing education (CE) credits for some of its CPR and ECC courses, and CME/CE may also be offered for live events. Whether you have completed a CPR & First Aid training course in-person or online, or if you have attended an AHA event for which there are credits available, use the information below to claim and obtain your CME/CE certificate. Currently, PDRE LLC AHA CE/CME is available for the following courses, which you can search for and sign up for at Palm Desert Resuscitation Education’s homepage yourcprmd.com in our Online Course and Program Catalog. What kind of course or event did you attend at PDRE LLC? If you completed your PDRE LLC AHA course online, you can claim your CME/CE credits on the site where you completed the course. CME/CE credits can only be claimed once all of the components of the Part 1 online course and Part 2 psychomotor skills evaluation testings are completed. Login to the site where you completed your eLearning course. For HeartCode, Acute Stroke Online, and Learn Courses, this will be OnlineAHA.org and for Heartsaver courses, this will be eLearning.Heart.org. Select the “My Courses” option from the “My eLEARNING” dropdown. Once on the My Courses page, select the “Completed Courses” tab, and look under the “CME/CE Credit” column. Follow the steps to download or complete information to claim your CME/CE credit. If you completed your Palm Desert Resuscitation Education LLC (PDRE LLC) American Academy of Pediatrics (AAP) Neonatal Resuscitation Program (NRP) course, you can claim your CME/CE credits on the Healthstream website where you completed the course. CME/CE credits can only be claimed once all of the components of the Part 1 online course and Part 2 hands-on instructor-led session are completed on Healthstream. Login to the Healthstream website where you completed your didactic lessons, eSIMS, and online examinations for your 7th Edition NRP Provider Course Part 1 and Part 2. Note: You can find this link here on the Healthstream Login for the Student/Manager – NRP Course, NRP Cards (Self Registration). Once logged in, please refer back to your 7th Edition NRP Provider Curriculum from the “Catalog,” “My To-Do List,” “Completions,” “Certifications,” or “Resuscitation Cards” tabs or hyperlinks. Note: To claim CME/CE, you need to have fully completed the online portion of the course (7th Edition NRP Provider Course Part 1), hands-on instructor-led event (7th Edition NRP Provider Course Part 2), and the course and instructor evaluation. Once completed, your will have access to your CME/CE certificate of completion. If you have any other questions, please call the Healthstream Support Team at (800) 521-0574 that is available Monday through Friday from 7:00 am to 7:00 pm CST or go to the Healthstream Contact Us webpage. What are the Accreditation Terms and Statements for HeartCode Advanced Cardiac Life Support (ACLS)? AMA Credit Designation Statement – Physicians. The American Heart Association designates this enduring material for a maximum of 4.50 AMA PRA Category 1 Credit™. Physicians should claim only the credit commensurate with the extent of their participation in the activity. AAPA Credit Acceptance Statement – Physician Assistants. AAPA accepts certificates of participation for educational activities certified for AMA PRA Category 1 Credit™ from organizations accredited by ACCME or a recognized state medical society. Physician assistants may receive a maximum of 4.50 hour of Category I credit for completing this program. AANP Credit Acceptance Statement – Nurse Practitioners. American Academy of Nurse Practitioners (AANP) accept AMA PRA Category 1 CreditTM from organizations accredited by the ACCME. ANCC Credit Designation Statement – Nurses. The maximum number of hours awarded for this CE activity is 4.50 contact hour. **ANCC Credit must be claimed within 6 months of attendance. CME/CE will no longer be available to claim for this activity after six months of attending. “This document is not valid as proof of an ACPE credit award. Credit award information is transmitted electronically from AHA to NABP and its constituent boards of pharmacy. A pharmacist’s e-Profile ID (ePID) and Date of Birth (DOB) are used to match credit records with the pharmacist’s NABP e-Profile. Official electronic and hard-copy documentation is available through the pharmacist’s e-Profile at nabp.net within 60 days of course completion”. Continuing Education Accreditation – Emergency Medical Services This continuing education activity is approved by the American Heart Association, an organization accredited by the Commission on Accreditation for Pre-Hospital Continuing Education (CAPCE), for 4.50 Advanced CEHs, activity number 16-AMHA-F3-0318. **CAPCE credit must be claimed within 6 months of attendance. CME/CE credit will no longer be available to claim for this activity after the 6 month claiming period. What are the Accreditation Terms and Statements for HeartCode Pediatric Advanced Life Support (PALS)? AMA Credit Designation Statement – Physicians. The American Heart Association designates this enduring material for a maximum of 7.25 AMA PRA Category 1 Credit™. Physicians should claim only the credit commensurate with the extent of their participation in the activity. AAPA Credit Acceptance Statement – Physician Assistants. AAPA accepts certificates of participation for educational activities certified for AMA PRA Category 1 Credit™ from organizations accredited by ACCME or a recognized state medical society. Physician assistants may receive a maximum of 7.25 hour of Category I credit for completing this program. AANP Credit Acceptance Statement – Nurse Practitioners. American Academy of Nurse Practitioners (AANP) accept AMA PRA Category 1 Credit TM from organizations accredited by the ACCME. **AMA Credit must be claimed within 6 months of participation. CME/CE will no longer be available to claim for this activity after six months of participating. ANCC Credit Designation Statement – Nurses. The maximum number of hours awarded for this CE activity is 6.50 contact hours. **ANCC Credit must be claimed within 6 months of participation. CME/CE will no longer be available to claim for this activity after six months of participating. **ACPE credit must be claimed within 30 days of participation. ACPE credit will no longer be available to claim after one month of participating. **CAPCE credit must be claimed within 6 months of participation. CME/CE credit will no longer be available to claim for this activity after the 6 month claiming period. What are the Accreditation Terms and Statements for HeartCode Basic Life Support (BLS)? AMA Credit Designation Statement – Physicians. The American Heart Association designates this live activity for a maximum of 1.75 AMA PRA Category 1 Credits™. Physicians should claim only the credit commensurate with the extent of their participation in the activity. AAPA Credit Acceptance Statement – Physician Assistants. AAPA accepts certificates of participation for educational activities certified for AMA PRA Category 1 Credit™ from organizations accredited by ACCME or a recognized state medical society. Physician assistants may receive a maximum of 1.75 hours of Category I credit for completing this program. AANP Credit Acceptance Statement – Nurse Practitioners. American Academy of Nurse Practitioners (AANP) accepts AMA PRA Category 1 CreditTM from organizations accredited by the ACCME. **AMA Credit must be claimed within 6 months of attendance. CME/CE will no longer be available to claim after the 6 months claiming period. ANCC Credit Designation Statement – Nurses. The maximum number of hours awarded for this CE activity is 1.75 contact hours. **ANCC Credit must be claimed within 6 months of attendance. CME/CE will no longer be available to claim after the 6 months claiming period. Continuing Education Accreditation – Emergency Medical Services. This continuing education activity is approved by the American Heart Association, an organization accredited by the Commission on Accreditation of Pre-Hospital Continuing Education (CAPCE), for 1.75 Basic CEHs, activity number 16-AMHA-F3-0300. What About Continuing Education Credits (CEUs) for Emergency Medical Service (EMS) Students? PLEASE NOTE: EMS Continuing Education through CAPCE is only available for the U.S. market. By claiming CAPCE** credit, the claimant acknowledges the following: I understand that the American Heart Association and Palm Desert Resuscitation Education LLC, as a requirement of CAPCE accreditation, will submit a record of my course completions to the CAPCE AMS. I further understand that my course completion records maybe be accessed by or shared with such regulators as state EMS offices, training officers, and NREMT on a password-protected, need-to-know basis. In addition, I understand that I may review my record of CAPCE-accredited course completions by contacting CAPCE. **CAPCE credit must be claimed within 6 months of attendance. CME/CE credit will no longer be available to claim for this activity after six months of attending. As the AHA and PDRE LLC class Instructor, we will be able to invite our EMS students to fill out information and claim their credits by sending each student an email invite. We will need your first name, last name and email address to send out this invitation. What May Be The New Policy for 2019 Regarding Course Equipment Additions or Upgrades For Palm Desert Resuscitation Education LLC Classes? By January 31, 2019, Palm Desert Resuscitation Education LLC will work towards implementing AHA’s requirement for the use of an instrumented directive feedback device or manikin in all AHA courses that teach the skills of adult cardiopulmonary resuscitation (CPR) such as those used now in healthcare settings, mainly Resuscitation Quality Insurance (RQI) systems. Specifically, an instrumented directive feedback device or manikin is one that, at a minimum, provides audio or visual (or both) feedback on the rate and depth of compressions during CPR training. This requirement will impact BLS, ACLS, ACLS EP, and Heartsaver courses. In the future, as more devices become available for child and infant CPR, we will also require the use of feedback devices in the courses that teach the skills of child and infant CPR. If you have any questions or concerns that you feel is important so that other PDRE customers can benefit from, please let us know and we can add it to our website! The Pre-Course Self-Assessment contains rhythm identification, pharmacology, and practical applications. 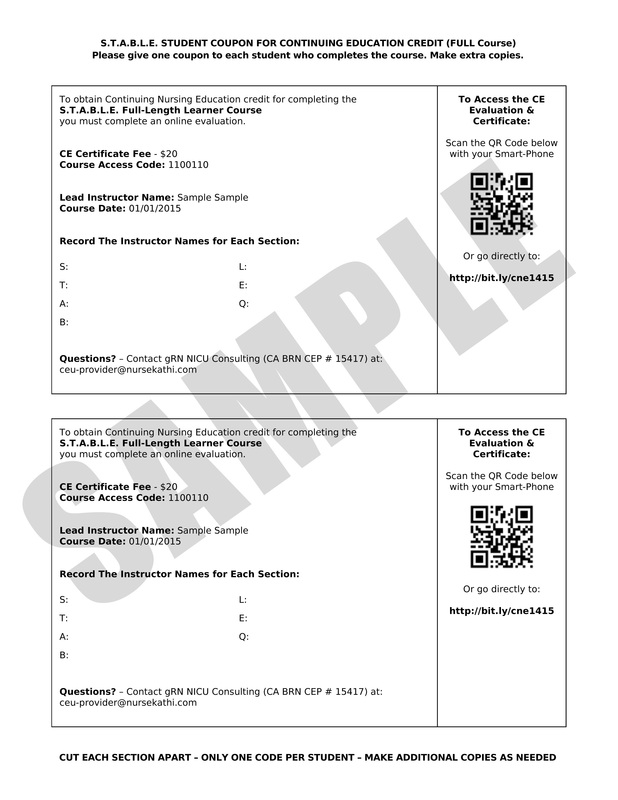 Print your certificate from the Pre-Course Self-Assessment and bring the certificate with you to class. These materials are provided to give you additional information you may find helpful for the course. ACLS and PALS also include a Precourse Self-Assessment that is required for entry into the course. A score of 70% or higher is necessary to pass and print your report. Maintains AHA instructors who train hundreds of students each year. Teaches AHA courses in accordance with the AHA Guidelines for CPR and ECC. Maintains all equipment needed for teaching AHA courses, including manikins that meet feedback device requirements. Reminder: The updated Program Administration Manual was released March 21st, 2019. Please remember, there is no longer a PDF version of the PAM. To ensure TCs and Instructors are referencing the most current version of the PAM, the PAM has been converted from a PDF file to a digital, online format. Please fully review the updated PAM to ensure you are aware of the most recent AHA policies and procedures. The definition of Training Sites and requirement for TCs to provide Training Site information through the AHA Instructor Network has been added. All references to Regional Faculty, a role which expired December 31, 2018, have been removed. Information about ECC Educational Subcommittee mentors has been added. Requirements for the use of eCards and feedback devices in adult CPR training courses have been added. Who is eligible to receive Heartsaver for K-12 cards has been clarified. Visit https://aap.helpjuice.com for answers to commonly asked questions on the Neonatal Resuscitation Program (NRP) and other Life Support educational programs. If you have a technical inquiry regarding the NRP Learning Management System, please contact HealthStream Customer Service by calling 800/521-0574, or email [email protected]com. HealthStream Customer service is available Monday – Friday, 7:00AM – 7:00PM Central Time.